Adarsh Bhat is the Chief Operating Officer of Summit Nephrology Medical Group, Inc. Along with Drs. Spin and Thornton, Dr. Bhat founded Summit Nephrology in 2005. Dr. Bhat did his clinical training at UC Davis Medical Center, completing his Medical Residency in 2001 and his Nephrology Fellowship in 2003. Dr Bhat sees patients in the Roseville and Lincoln offices and manages patients on dialysis in Roseville, Rocklin, Lincoln, and Orangevale. His areas of interest include complex diagnostic cases, hypertension, dialysis, and apheresis. He has an emphasis on home modalities including peritoneal dialysis, home hemodialysis, and nocturnal dialysis, and he also manages a sizeable cohort of transplant patients. 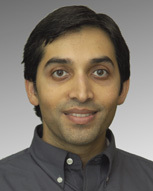 Dr Bhat is the recipient of numerous teaching and patient experience awards and currently serves as Chair of Continuing Medical Education at Sutter Roseville Medical Center. He spends his free time with his wife Anu Bhat, MD, of Sierra Rheumatology , and two children and enjoys running, travel, and fine wine. COO, Summit Nephrology Medical Group, Inc.